After having reviewed the lovely Jackson Reece baby wipes I was sent a packet of their new Unscented baby wipes to try out. I really love these wipes, they are so friendly to babies bottoms and the packaging is great. As with the scented baby wipes these Unscented wipes are fantastic, I cannot fault them. The packaging is recyclable, the wipes are 100% bio-degradable, compostable and chlorine free and 99% of the ingredients in these wipes are derived from vegetable or plant extracts. They really are "kinder by nature" and one of the best if not the best wipes I have ever used on Logan. He has no reaction to them at all with his sensitive skin and they are thick and moist and clean his bottom up a treat. The easy access dispenser on the packet is rigid and helps to keep the wipes fresh and moist. It also maintains its stickiness so the lid stays shut unlike other brands of wipes. This has to be one of the best things about these wipes as I have found no other packet of wipes who's lid stays in shape and continues to close quite like this one. You'll be happy to know that these lovely unscented wipes are made in the UK, not tested on animals and have been dermatologically and hypoallergenic approved as well as pH balanced so they are very kind to babies skin. Jackson Reece have also disclosed the function and use of each ingredient on the pack in layman's terms to show their open and honest approach to care better for babies and the environment so you know exactly what you are getting. This is great as so many companies try to hide behind big fancy names to get away with so many things, Jackson Reece do not do this and it definitely shows through their products. Unlike most baby skincare products Jackson Reece do not contain any of the following potential irritants; Sodium Lauryl Sulfate (SLS), Sodium Laureth Sulfate (SLES), Alcohol, Lanolin, Phthalates, MIT, Parabens, Triclosan, Propylene glycol, Petro Chemicals, Phenoxyethanol, Benzoates or Soap. So there you have it, brilliant all round amazing wipes and Tesco have a special offer on at the moment for both Herbal and Unscented wipes. Buy one get one free at their online shopping store so order your wipes up today. Overall I absolutely love these wipes, they are so kind to Logan's skin I couldn't ask for better. 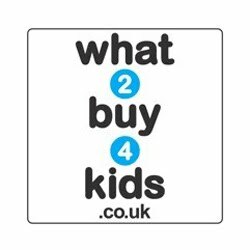 You get 72 wipes in a pack which is really good and the price is reasonable as well with some shops selling them at £2.00 per pack which include Tesco and Mothercare. Big thumbs up from us and we will be purchasing more in future. Please visit www.jacksonreece.com for more information and products. 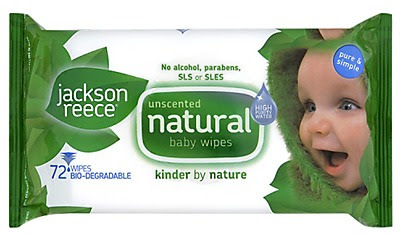 0 comments on "Review: Jackson Reece Unscented Baby Wipes"